Since posting this blog piece in November 2012 the eBay value of these guitars has rocketed from under £100 last year to £500 as of May 2013. Please bare in mind every single one of these Yasuma models I have seen are under-set with very high action. They also have a two-ply laminated top not a solid top. If you plan on spending hundreds of pounds on one of these models please ensure you play it first before parting with your money. Before 1970 the Japanese guitar industry had been cheap, low-quality guitars, usually made of plywood. Most were exported to other countries to be sold by different companies. In the 1970s Japanese manufacturers began to get more serious with companies even attempting to pass themselves off as American brands such as Martin. These were high-quality and looked too close for comfort to the real thing. 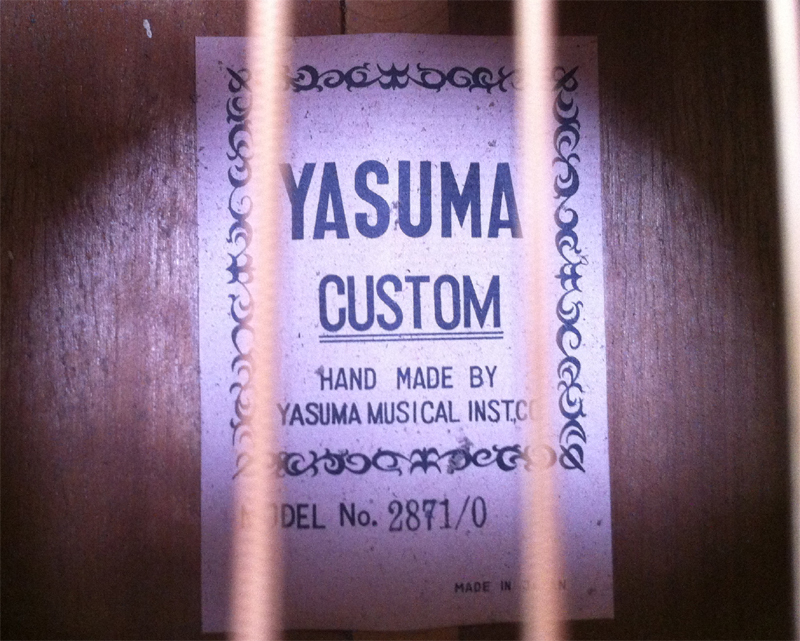 The Yasuma Musical Instrument Company was one of many who fell foul of US litigation and were ultimately put out of business. This 70s Yasuma is essentially a Martin D28 copy. The sound this dreadnought produces is unreal. The guitar is noticeably light and has huge amounts of crisp bass response. These guitars are finished in nitro-cellulose (sprayed over the scratch plate). The familiar Martin dot markers were probably the last straw for US lawyers. It did however require a lot of work to get it playable. 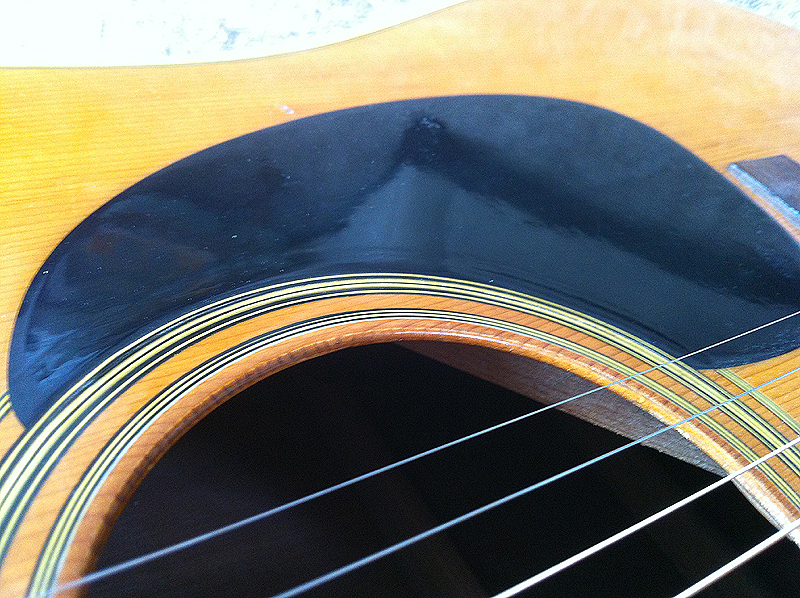 The string action was 10mm from the fretboard due to the height of the bone saddle. 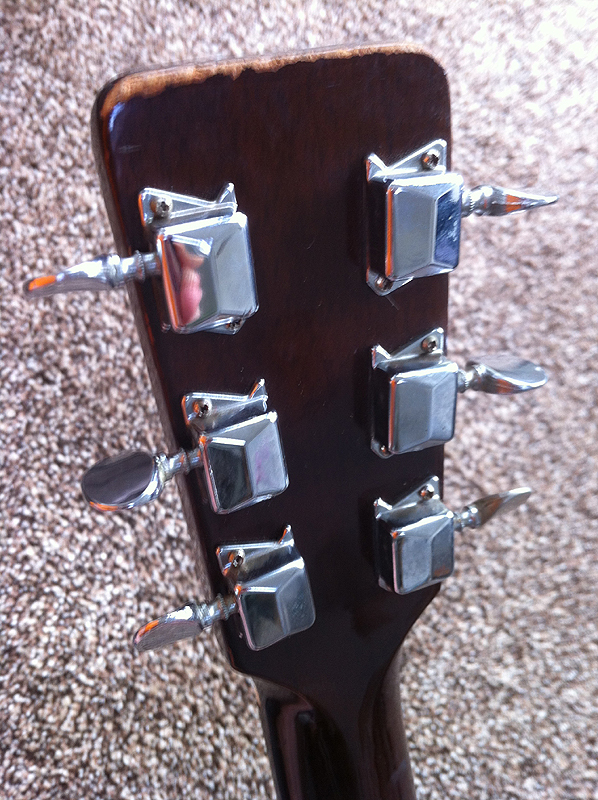 The machined work inside the closed tuners looks like it was precision built by NASA. Yasumas are a rare gem, but if you are buying one online without trying it first don’t expect it to play out of the box, they do need setting up. 20 fret rosewood neck with small vintage frets. John, I’ve got an Angelica twelve string I picked up in a pawn shop years ago. I’ve even had it rebuilt a couple of years ago. Very finicky, but when it’s dialed in right, it sounds amazing! I assume it was built by this Yasuma company? I have a 130 Newance that I bought from a flea market in Edinburgh in the mid 80s for £30. It had an orange plastic strap button and a hole in the side where someone had tried to drill for a strap in the hollow section!! 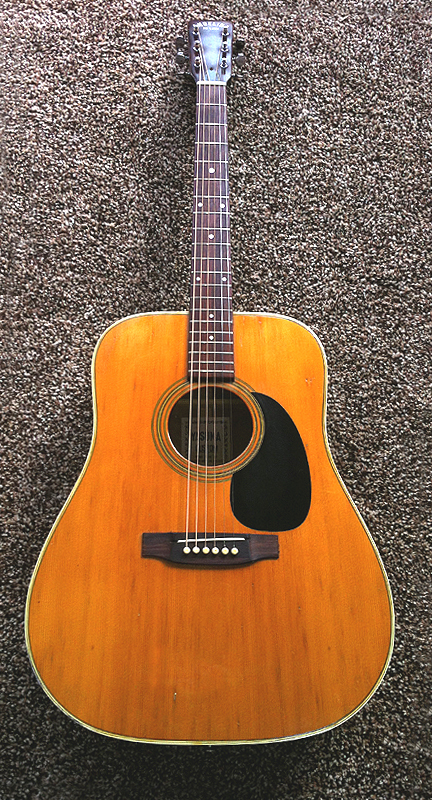 I assumed it was dirt cheap; warped neck and v. high action, so I kicked it about and let the kids trash it, while I spent the last 30 years saving for a real Martin. 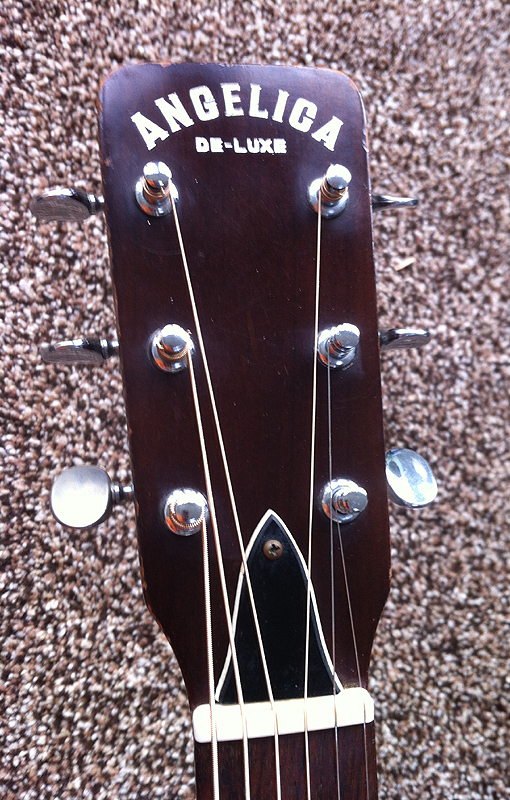 A few months back a friend asked if he could do some work on it, fixed the neck, lowered the bridge and its beautiful. I’m still dropping in to music stores to play their Martins, Guilds, Takamines and checking my bank balance… but each time I come home and play the Yasuma… and prefer it! Thanks for the feedback Chris. Yes they are good guitars, but they all seem to need a bit of work on them. Certainly on a par with the red label Yamahas. Cheers, John! I have a Yasuma 400s made in 1982 which I bought for £250 about 5 years ago. 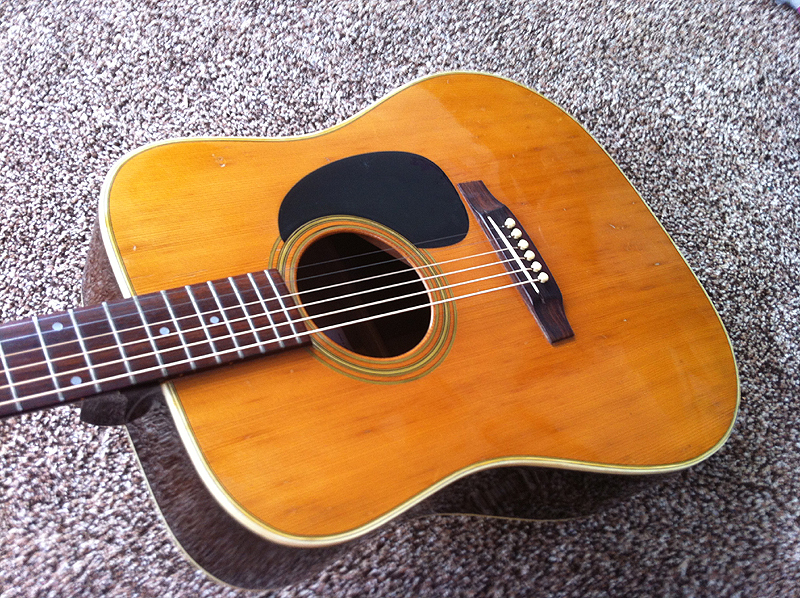 It has a solid Spruce top and could even be solid rosewood back and sides (but I can’t be sure). I’ve had a professional setup done and now this guitar plays absolutely amazing…..to my ears it sounds side by side as good as any Martin D28 that I have played..